Our first highlight is a 1797 50c PCGS/CAC Good-06. Among the most sought-after coins by advanced type collectors, this original example is a nice survivor from a mintage of just 3,918 pieces. From a two-year design type, it is one of the most difficult type coins to locate. Smooth grayish-brown surfaces with even wear, this piece is ideal for any advanced type collector. 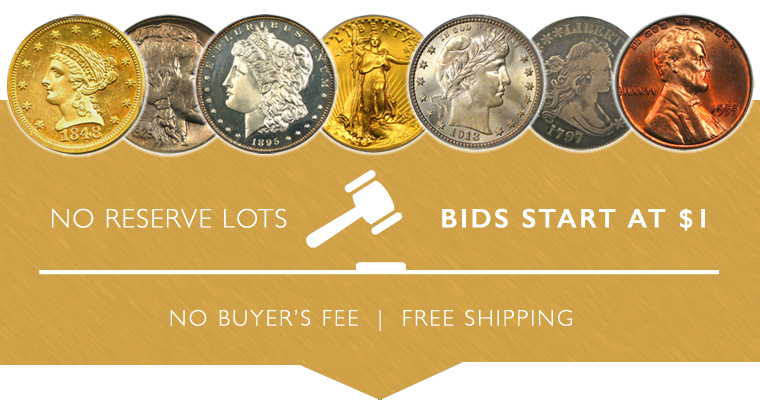 This week's second highlight is an 1870-S $5 NGC/CAC AU55. A much better date Liberty Half Eagle from the San Francisco Mint with nice, original surfaces that feature very subtle rose tints with eye-catching luster. Of course there are many other highlights, so be sure to browse all lots in this exciting new sale before it closes on Sunday, May 6th.